PTL is here at the Edinburgh International Book Festival. We’ve got our press passes, we’ve mumbled our suitably awkward introductions to real journalists, and set ourselves up in the press yurt. That’s right guys, I’m writing this from inside a yurt. 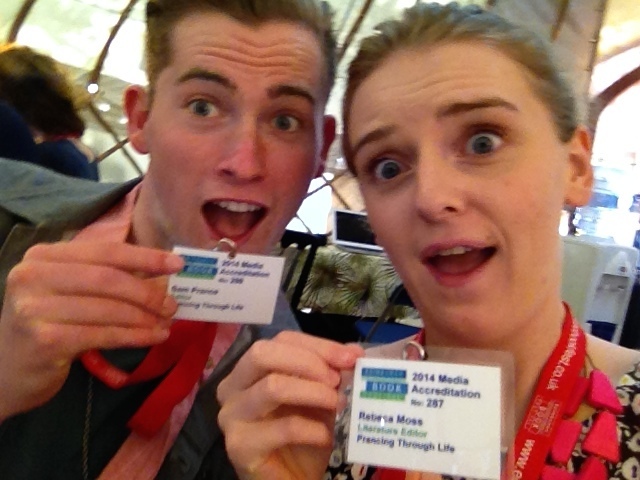 Here’s a selfie of me and Sam keeping our composure with our press passes. 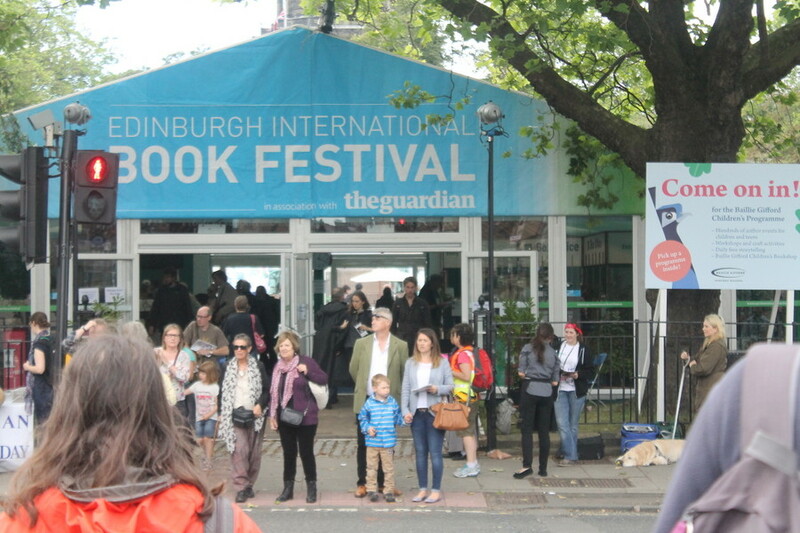 Edinburgh’s annual Book Festival runs for two weeks in August. This year there’s a lot of exciting names on the books, including George R. R. Martin, Carol Ann Duffy, Simon Armitage, Malorie Blackman, and Alexander McCall Smith, to name a few. So far, we’ve seen a copy of the Gruffalo in Latin, a legion of well-read children (and their super proud parents), and a stressed out journo who’s shouting at her assistant. Not zen enough for the yurt. We’ll be here throughout the festival to keep you posted on who we’ve seen, people we’ve spoken to and how many adorable kids we’ve met. Beci Moss is studies French and Philosophy at the University of Edinburgh. She is also the LITERATURE Editor of Prancing Through LIFE. In her spare time, she likes to cook, bake and blog about it over on: www.herbsandstitches.com. One day she hopes to become Mary Berry and assure everyone that she never has a soggy bottom. An admirable aspiration, I think you’ll all agree. I read this article and found it very interesting, thought it might be something for you. The article is called Prancing Through EIBF – VIP, NBD and is located at http://prancingthroughlife.com/2014/08/09/ptl-eibf-vip-nbd/.